vAuto has upgraded Conquest Dealer Trade in response to insights from a recent study. Respondents reported an average 22 trades per month, losing money on 17.7% of dealer-to-dealer exchanges. 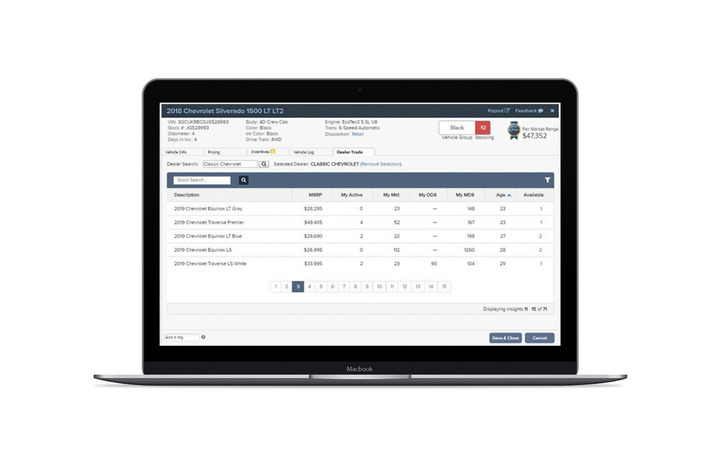 OAKBROOK TERRACE, Ill. — vAuto announced the release of a no-cost, “insights-driven” upgrade to the Dealer Trade facet of its proprietary Conquest platform. The tool uses third-party data to predict which competitors’ vehicles will perform best in the user’s market, resulting in faster-turning inventory. In today’s margin-compressed environment, every piece of inventory must be evaluated on its potential marketability and profitability, but until now, obtaining a clear, objective assessment on inbound trades was difficult and time-consuming, according to Brian Finkelmeyer, vAuto’s senior director of Conquest. Executives noted that dealers responding to a vAuto-commissioned study said they made 22 trades per month on average, 17.7% of them at a loss. “New-vehicle trading is an important part of the business and ordering restrictions can make it challenging to get the exact inventory needed for a market. And that’s what Conquest helps solve for, enabling dealers to make trading decisions on insights, not gut, to reduce losses and improve their inventory,” said Randy Kobat, senior vice president of inventory software solutions at Cox Automotive.